Just minutes ago the Center for Biological Diversity filed a lawsuit in Washington, D.C., to stop the slaughter of more gray wolves. Only 58 gray wolves survive in the wild in Arizona and New Mexico. We can’t afford to let a single one be killed. Wolf numbers are so low that at this point we’re fighting to save the entire Mexican gray wolf subspecies from going extinct. We desperately need more resources to win this critical battle. Please help by donating generously to the Center’s Save the Endangered Species Act Fund today. All gifts right now will be matched by a leading board member to make your gift go twice as far. With five active lawsuits to stop wolf killing in Oregon, Wyoming, the Southwest and Minnesota, the Center is the only group in the country fighting to save all four gray wolf populations in the contiguous United States. We’ll soon be filing suit to save Alaska’s beautiful Alexander Archipelago wolf as well. But nowhere is the crisis so severe as in the Southwest. Due to shooting, trapping and political opposition by the livestock industry, the recovery program has completely stalled out. Only 58 wolves exist in the wild, yet the U.S. Fish and Wildlife Service is not only doing nothing to boost the population — it is trapping some of the last survivors. Last month we filed suit to force the government to implement wolf protections recommended by its own scientific panel more than 10 years ago. This morning we filed suit to make the government manage the Southwest’s wolves as a unique subspecies, requiring that a new recovery strategy be developed. 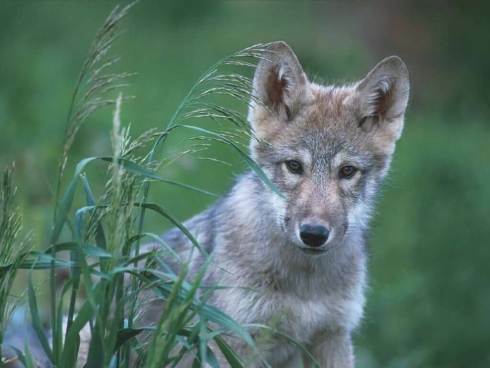 It was the Center’s legal work that got Mexican wolves released into the wild back in 1998. These wolves again need our help to keep their rightful place on the landscape. It takes tremendous resources to fight these legal battles, especially on five fronts at once. Please help us save these precious gray wolves by contributing as much as you can afford to our Save the Endangered Species Act Fund today — and your gift will be matched dollar-for-dollar by our generous board member. With your help the Center for Biological Diversity can stop the needless slaughter of gray wolves across the country and prevent the extinction of the Mexican gray wolf. I hope you can help. Thank you in advance. P.S. The Center doesn’t sell wolf toys, calendars or key rings. Shopping won’t save wolves. So if you’re thinking about a wolf Christmas present this year, give the best gift of all: direct action to save their lives. Please donate today. 100 percent of your donation will go to winning these lifesaving wolf lawsuits. Posted in Animal Rights, Fund Raising For Animals Emergencies.